The Museum of Modern Art (MoMA) in New York and the Fondation Louis Vuitton in Paris have co-organized an exhibition entitled “Être moderne : le MoMA à Paris” (which translates to “Being Modern : the MoMA in Paris”) which showcases over 200 pieces from the MoMA’s permanent collection and archives in celebration of the museum’s history. 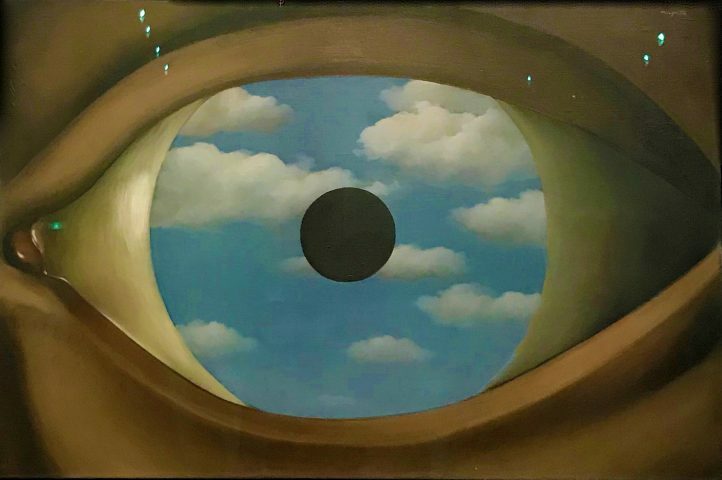 The exhibition, which opened to the public on Oct. 11 and will continue until March 5, includes masterworks by Pablo Picasso, Marcel Duchamp, René Magritte, Salvador Dalí, Mark Rothko, Frida Kahlo and Georgia O’Keefe among the over 100 blue chip artists whose works are on display. The pieces, plus more than 100 objects from MoMA’s archives, traveled across the Atlantic in 17 shipments from New York, making the loan MoMA’s largest to date, according to a press release from the Fondation. The co-organized exhibition spans four floors and ten galleries and traces MoMA’s history from its establishment in 1929 to its current space and the extensive building and renovation project the museum began in 2016. The first two galeries focus on the museum’s early history–with sections entitled “1929-1939: A new museum, The European origins of modernity and American abstraction”–and the shift in location of avant-garde and modernist artistic production from major European cities to New York after the Second World War. The third gallery focuses on the minimalist and pop art trends of the 1950s and 1960s, with sections entitled “Series and minimalist structures and Pop America” tracing the development of a distinctly American modernist art in the post-war period. 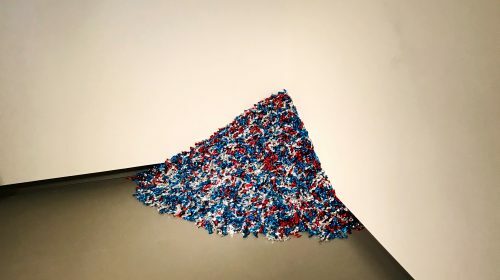 Cuban-American artist Felix Gonzalez-Torres 1990 work Untitled (USA Today) features candies individually wrapped in cellophane and stacked in the corner of a gallery space. The work’s “ideal weight” is 300 pounds and viewers are free to take the candy. The next three galeries contain works from the late 1960s and onward that challenge established concepts of politics, society and art itself, with sections such as “Art in action and Images and identities : USA 1975-2000.” The last four galleries present artistic trends and movements that have emerged since the 2000s, with a focus on the impact of the digital age and globalization. The first gallery contextualizes the theme of contemporary notions of modernity, with sections entitled “Digital/Analogue and 21st century : new horizons” while the other three feature individual works from contemporary artists Janet Cardiff, Roman Ondak and Ian Cheng.